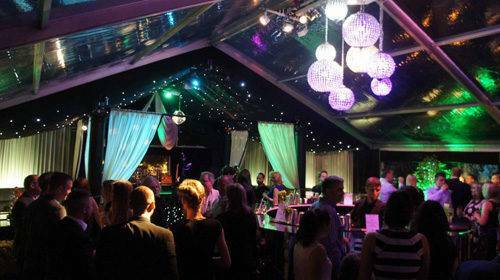 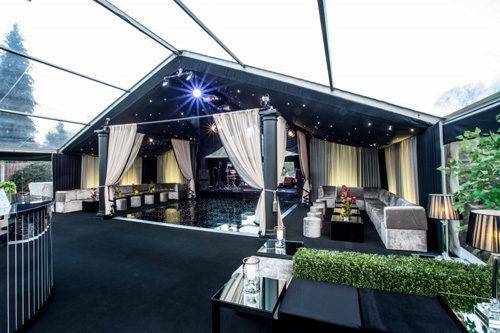 A very memorable night at home in Essex in a purpose built nightclub marquee. 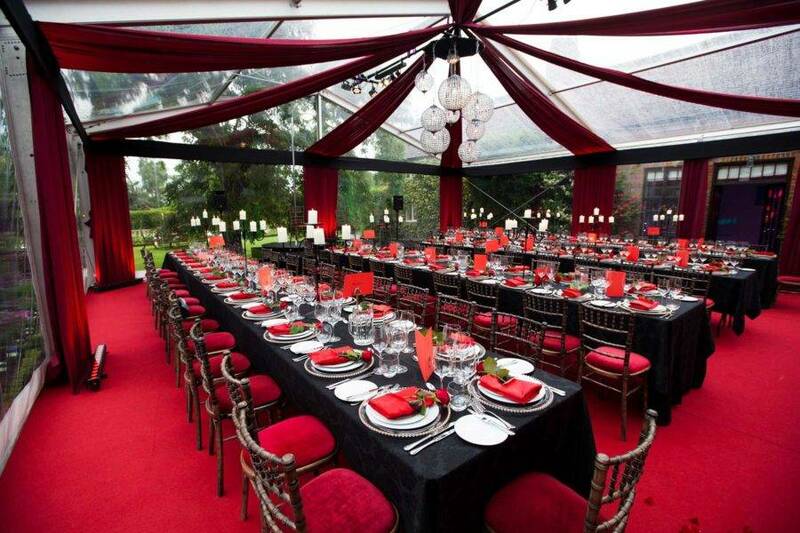 This is the second 50th Birthday party we have produced for our client. 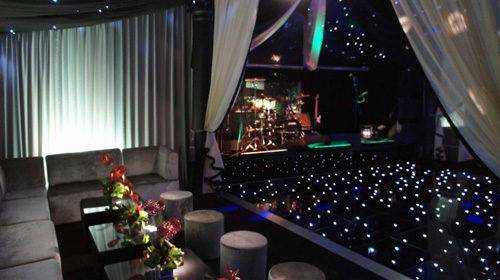 The first was for his wife and had a soft white and purple theme. 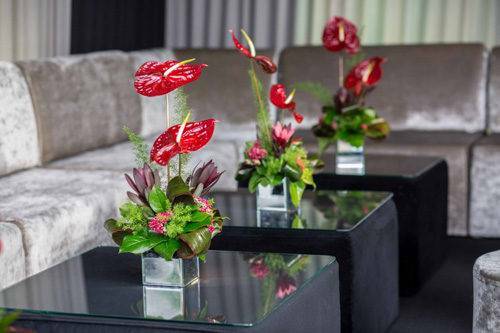 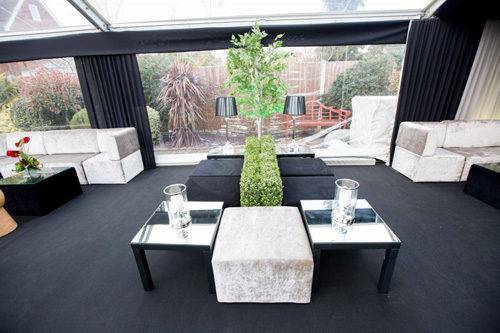 This time our client asked for a more masculine styled night club party at home. 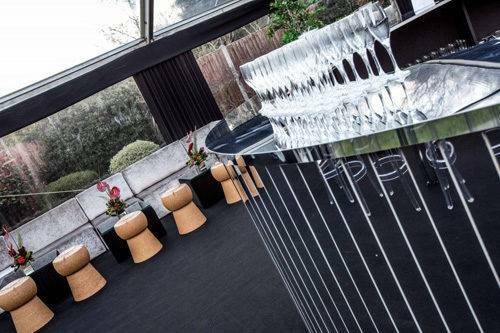 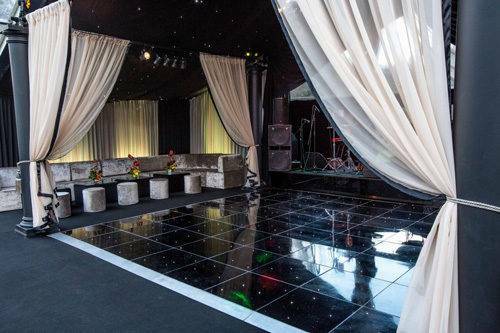 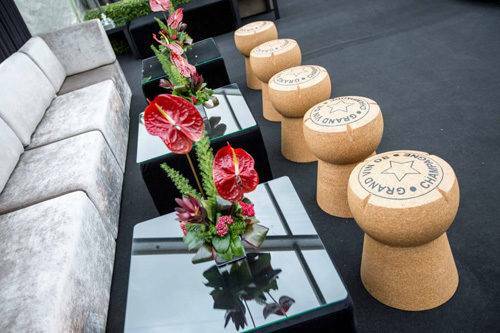 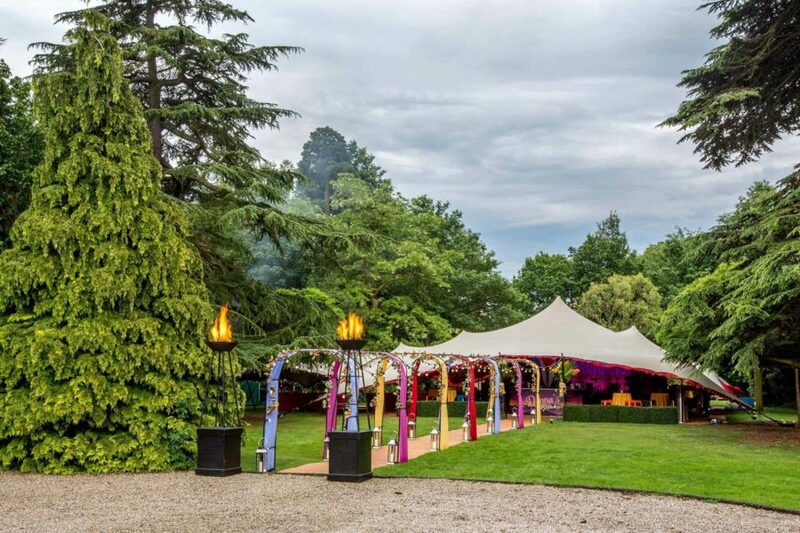 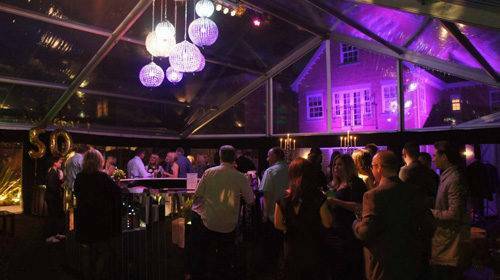 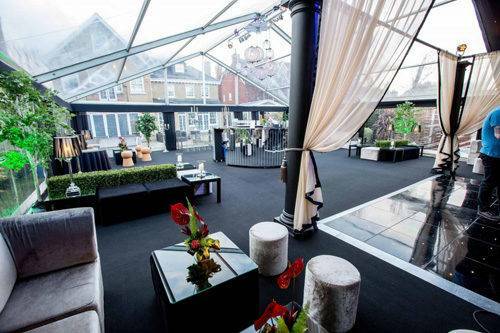 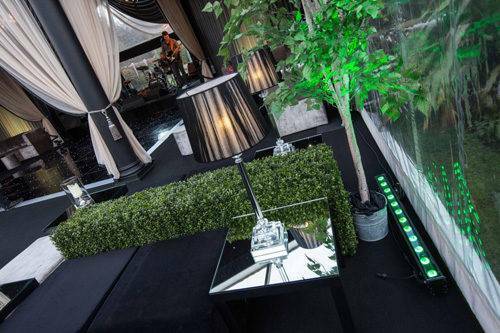 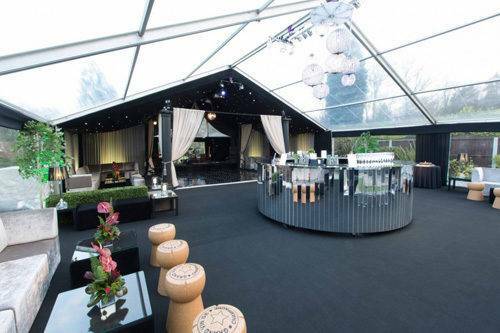 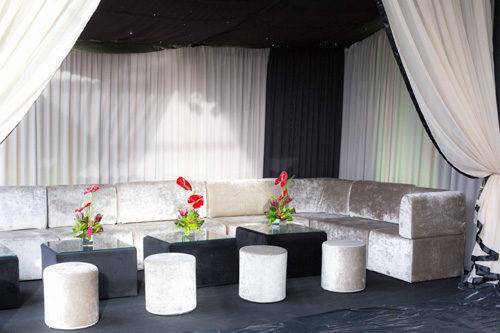 Using black and taupe as the colours we combined the styling with a clear roof marquee to create a cool contemporary feel for guests to party the night away at home. 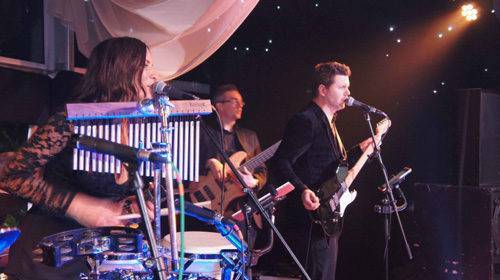 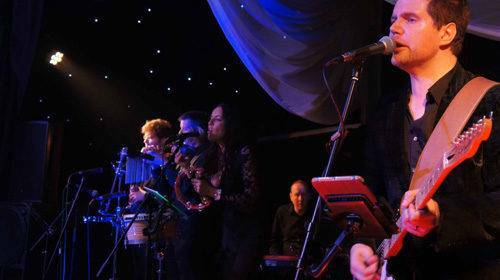 Substantial canapés and a full cocktail bar along with a great seven piece band helped give everyone a night to remember.